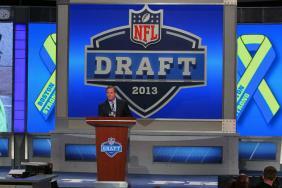 The 2014 NFL Draft will be moved back to May 8-10 from April due to a scheduling conflict at the Radio City Music Hall. Although no decision has been made for 2015 and beyond, there’s a possibility the draft could permanently remain in May. No other significant changes will be made to any other offseason events next year. 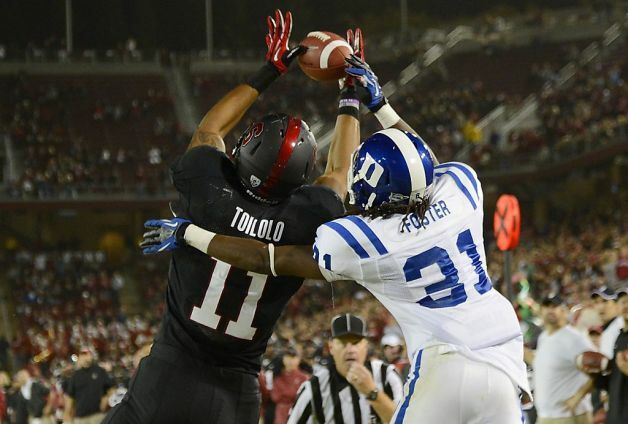 The Atlanta Falcons have signed fourth-round draft pick Levine Toilolo. The tight end played his college ball at Stanford. Toilolo is the fifth draft pick the Falcons have signed. Three draft picks remain: cornerbacks Marcus Trufant and Robert Alford, and quarterback Sean Renfree. The Atlanta Falcons have signed four of their picks from the 2013 NFL Draft: defensive end Malliciah Goodman (127th overall, Clemson), safety Kemal Ishmael (243rd overall, Central Florida), defensive end Stansly Maponga (153rd overall, TCU), and safety Zeke Motta (244th overall, Notre Dame). Of the four player, Goodman is the most likely to start. Cornerback Desmond Trufant, cornerback Robert Alford, tight end Levine Toilolo, and quarterback Sean Renfree remained unsigned. I was hoping the Atlanta Falcons would bring John Abraham back at a reduced salary, but that apparently isn’t happening. The Falcons contacted Abraham about a possible return, but the defensive end refused. Well, that’s the end of that saga. 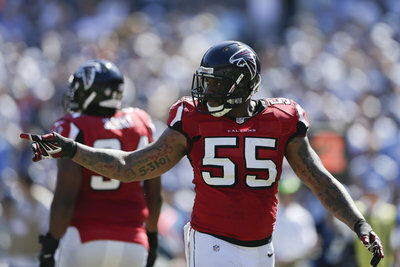 Abraham spent seven seasons with the Falcons and totaled 68.5 sacks. He was able to consistently generate pressure without much help. The Atlanta Falcons held the first day of the rookie minicamp on Saturday. It was also the first time the Falcons’ coaches were able to get a closer look at Brian Banks. I’ve compiled some noteworthy tweets concerning the minicamp.